Admit it or not, it is very easy to disregard your HVAC company’s maintenance recommendation. Unless you notice something seriously wrong about your cooling or heating system, there is a big possibility that you will put off hiring an HVAC contractor to maintain your unit especially if it performed well last season. 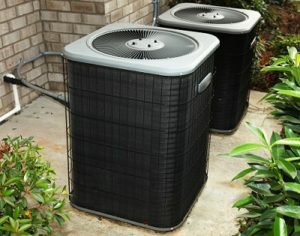 What many homeowners don’t know is that HVAC maintenance is crucial because of many things including repair prevention. HVAC maintenance is a service offered by many contractors including Florence HVAC Experts. However, the level of service they give varies from one company to another. In Experts, your HVAC contractor is going to have a checklist of what he needs to check, test, clean, as well as adjust on your system based on the current season. This type of maintenance level is way more than the basic tasks you need to do on your own on a regular basis such as clearing away obstructions on your outdoor unit as well as changing the air filters. During the maintenance appointment, the contractors may make a few adjustments to help improve the efficiency and performance of your HVAC system. However, there is also a possibility that there are major problems or failing components with your unit, and there could be a need to schedule service after to replace or fix a component. Well, you may have already guessed that the perfect time to schedule HVAC maintenance service is before the time you need the system the most. Although it is crucial to know when you need to schedule the maintenance service, it is also important to understand how often you need to get it done. You should hire a professional Florence HVAC contractor to check your unit at least once a year. In case you use a heat pump system all year round, then you have to get this maintained twice a year. Among the many reasons why you have to schedule your HVAC maintenance every year is to increase your comfort. In the coming years, climate control units are performing less efficiently and effectively. The components will eventually deteriorate just like in any kind of system. By having regular maintenance, you can make sure that you are keeping you, your home, and your family safe. Having a cracked heat exchanger can result in potentially dangerous problems like exposing you and your family to increasingly high levels of carbon monoxide gas and create a fire hazard. However, with regular maintenance, an HVAC contractor can alert you to such kinds of issues so that you can get the repairs your unit needs right away. Call Florence HVAC Experts if you need a professional who can take care of all your HVAC installation, repair, and maintenance needs.